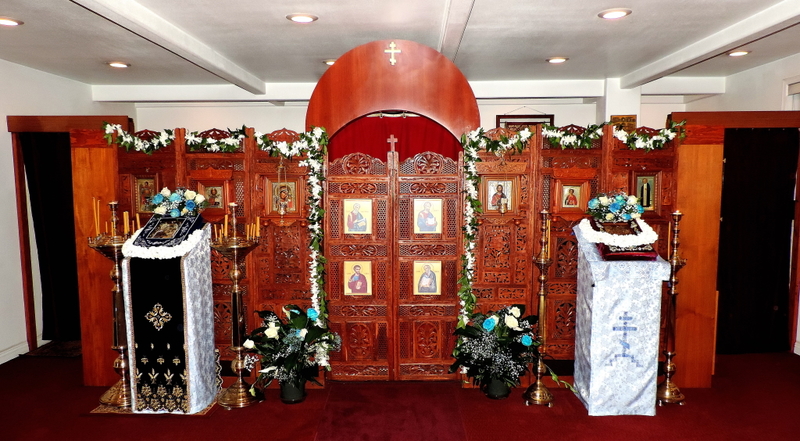 The Holy Theotokos of Iveron Church in Honolulu, Hawaii, celebrated its 30th Anniversary November 22nd and 23rd, 2014. 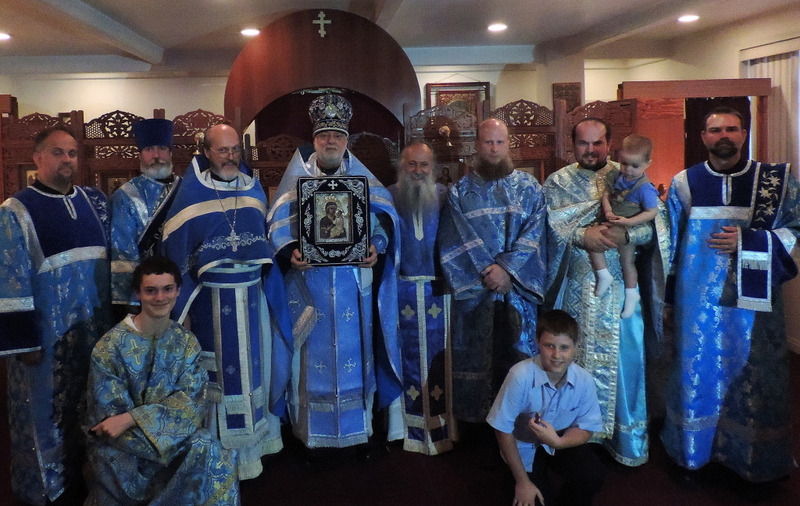 It was a festive Pan-Orthodox weekend with clergy and faithful from many jurisdictions traveling from afar to participate and attend. 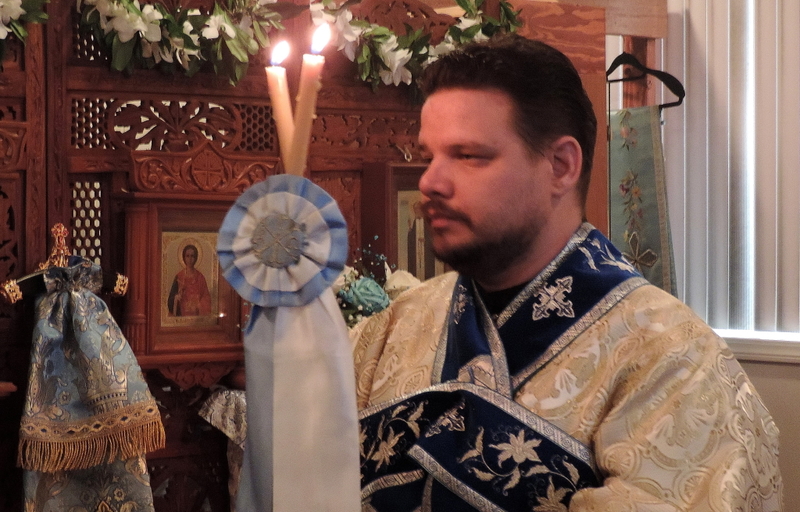 The celebrations began with Liturgy on November 22nd, celebrating the Feast Day of St Nectarios, the Saint’s Day of the guardian of the Myrrh-Streaming Icon of the Theotokos of Iveron, Reader Nectary Yangson. Mitred Archpriest John Sorochka, from St. John the Baptist Cathedral in Mayfield, Pennsylvania officiated Liturgy and was joined by Priests Moheen Hanna, from the Palestinian and Jordanian Orthodox Church of St. James in Milpitas, CA; Priest Octavian Mahler, from the Romanian Orthodox Church of the Holy Cross in Hayward, California; and Priest Dimitri Jakimowicz, from our parish of St. Herman of Alaska, in Sunnyvale, CA. Protodeacon Stephen Howanetz, Deacon Nathaniel Sorochka, also from Mayfield and Deacon Dimitri Krenitsky, from Vineland, New Jersey adorned the Liturgy with their serving. Seminarians from Holy Trinity Seminary in Jordanville, NY, and other visitors joined the choir. Our first Hierarch, Metropolitan Hilarion of New York and Eastern America and our Archbishop Kyrill of San Francisco and Western America joined in the celebrations for All-Night Vigil that evening, along with Archpriest Anatole Lyovin, the Rector of the parish; Mitred Archpriest Stephan Romanchak, from the Holy Trinity Church in California, PA, and Archpriest Serge Kotar, from Holy Virgin Cathedral in San Francisco, CA. The Deputy Consul of the Russian Federation, Andrei Nikolaevich Varlamov attended the Divine Services along with his son, Gregory. 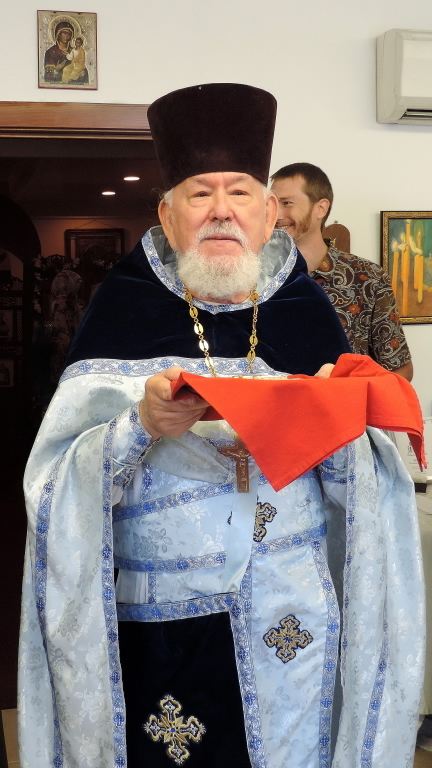 On Sunday November 23, the Divine Liturgy was prayerfully festive, and was chanted in English, Slavonic and Georgian. 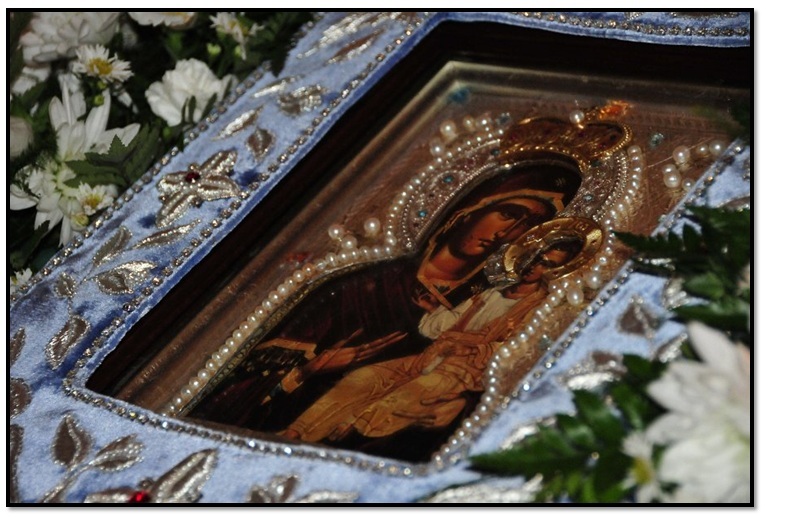 The “Hawaiian” Myrrh-streaming Icon of the Theotokos was especially fragrant throughout the day. The parish rector Fr. 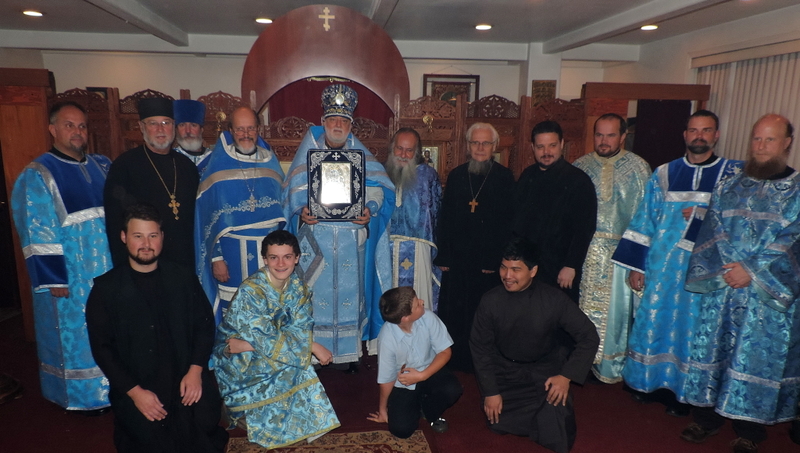 Anatole was awarded the palitsa (diamond shaped shield) for his years of selfless service to the church. 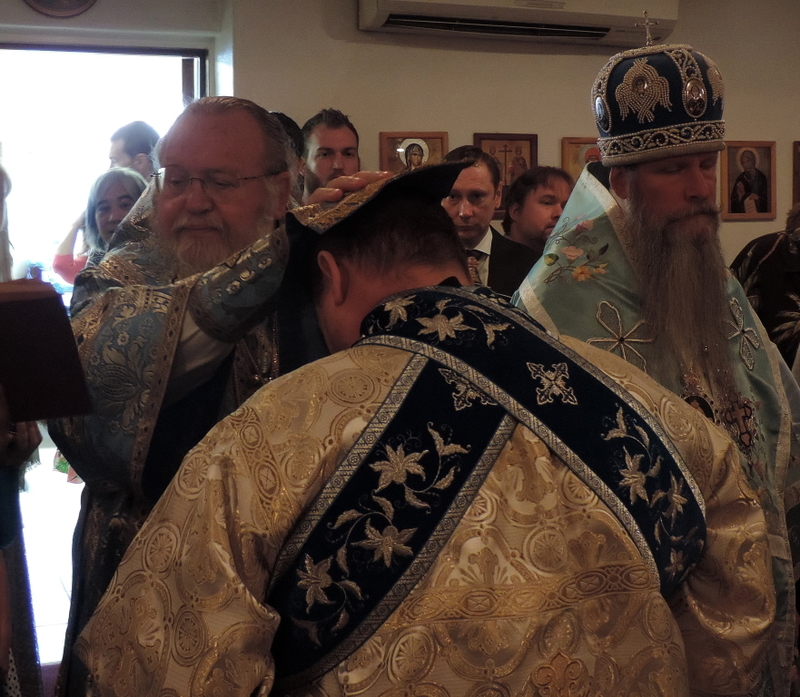 Reader Michael Bressem and Reader Nectary were elevated to the rank of Sub-Deacon by Metropolitan Hilarion. Later in the Divine Liturgy and to the joy of the parish and all attending, Sub-Deacon Michael Bressem was ordained to the diaconate by Archbishop Kyrill. The Festal Banquet was organized at a hall overlooking the Pacific Ocean, where the attendees were treated to a beautiful sunset, some traditional Hawaiian music and most delicious local dishes. Clerics from the Greek Archdiocese and from the Coptic Church also attended. The Parish gave generous gifts to the visiting clergy. 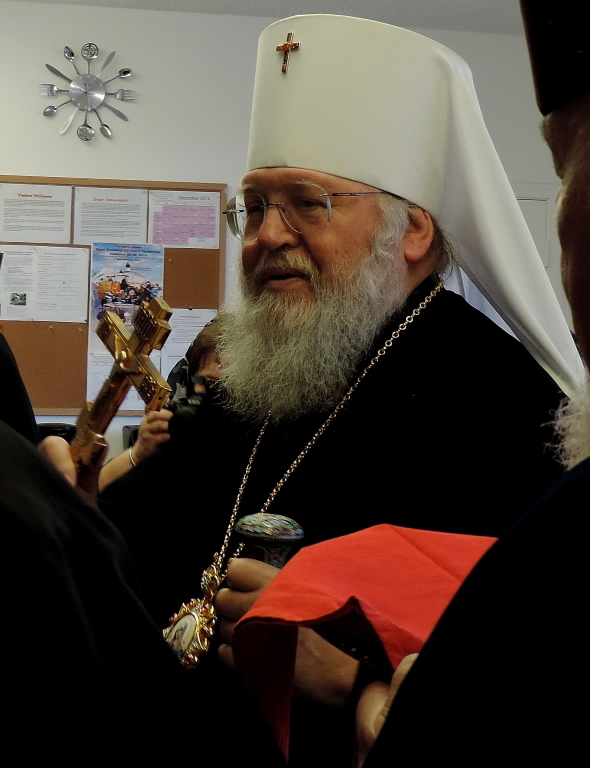 Metropolitan Hilarion spoke of the growth from a tiny seed planted thirty years ago, to a currently active parish and of the great blessing of the Myrrh-streaming Icon for us all. Fr. John Sorochka presented Fr. 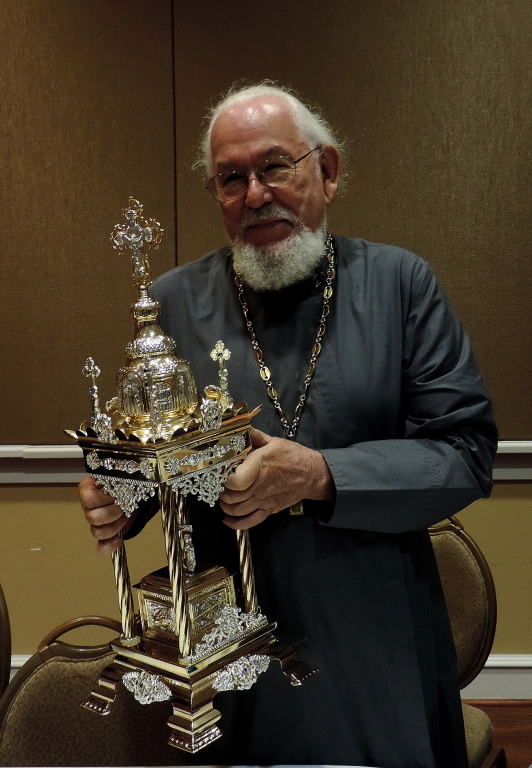 Anatole with the gift of a new tabernacle for the parish, purchased in Russia. 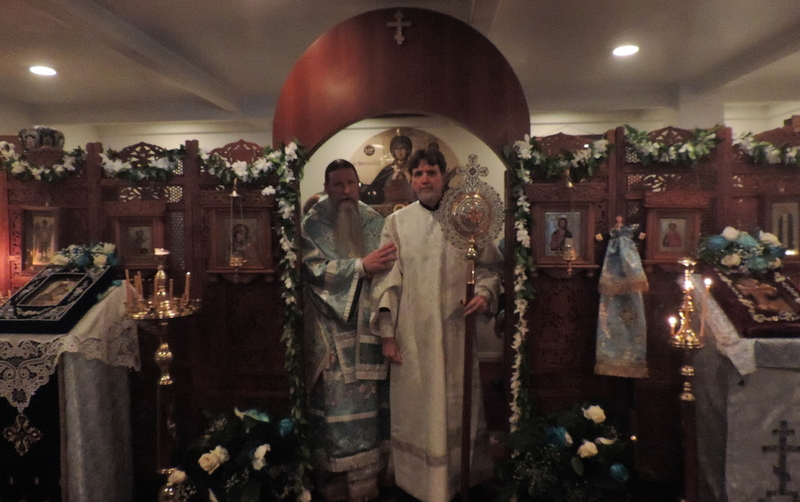 Monday morning, at 5 AM, the Divine Liturgy was celebrated by Fr. Moheen Hanna. The newly-ordained Deacon Michael served his first Liturgy, being helped and coached by Deacons Nathaniel Sorochka and Dimitri Krenitsky. The pilgrims and clergy said their farewells after Liturgy. The attendees, both clergy and faithful had been able to spend some time with old friends and made new ones as well. We all left spiritually uplifted and giving thanks to God for blessing and opportunity to attend such a wonderful and festive weekend. Glory to our Lord and Saviour Jesus Christ!